Ah, yes, more Purple Martins. And I’m not done with them quite yet. Oh I’m SO glad you’re not quite done! I can’t resist these guys! Thanks, Anne. These are fantastic, Karen! I love the way the motion and translucent wing tips merge into air…three inseparable components of flight. They dance so beautifully together within your frame, the delicacy! So pleased to know there will be more! Pleased to know that there are more to come! Brilliant! Lovely photo. The movement is like a dance. Very beautifully composed, really well done! Love the composite – they make such a graceful pattern. Amazing! Both soft and beautiful. It’s almost like they are performing a dance. Love those fluttering wing tips Karen. I’ll say it again, Karen: you’re a master of capturing movement. I love the movement and rhythm. Beautifully composed Karen. They look like they’re holding some kind of council. Beautiful composite. For some reason it reminds me of Yves Klein’s work – something in the gestures? just stumbled upon your blog and I already love it! What an absolutely stunning image, thank you for sharing it. I’ve just called my husband over to come and admire it. You are very talented. 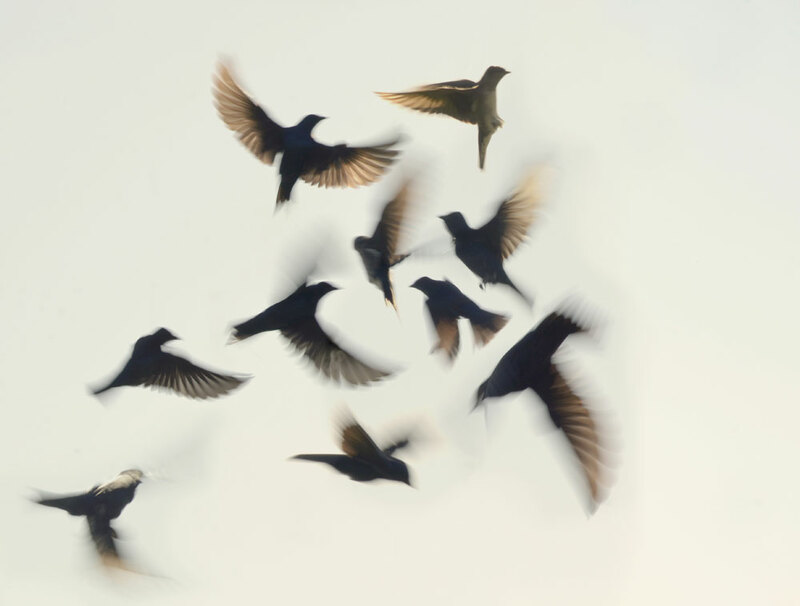 I am impressed you captured a moment in which none of the birds overlap; each one inhabits its own space. Gorgeous. Sky bouquet/ classical sculpture. Brilliantly warm.